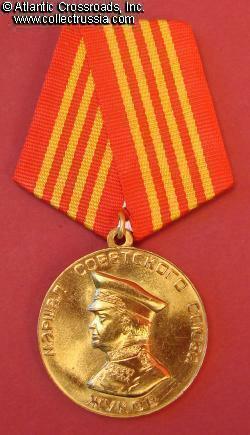 Marshal Zhukov Centenary Medal (Alternative issue). 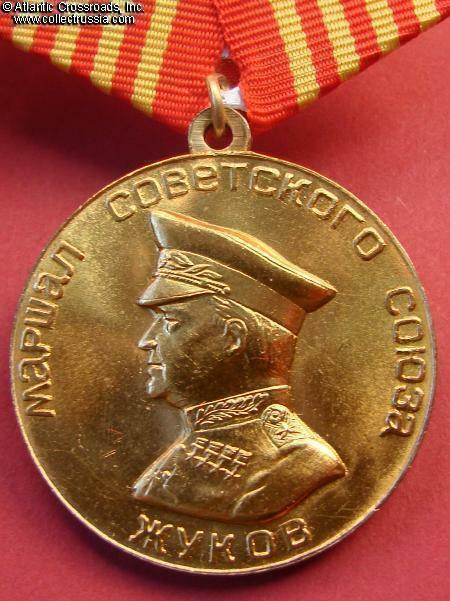 Marshal Zhukov Centenary Medal (Alternative issue). Writing on the reverse says "Great Son of the Soviet People. 1896-1996". 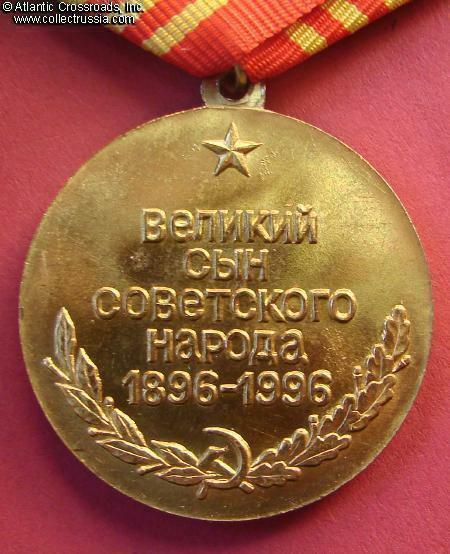 This is one of the "alternative medals" issued by the Communist-run Congress of Peoples Deputies of the USSR - legislative body of the Soviet Union that continues to operate even now, years after Soviet Union's collapse! Naturally, these medals are not approved by the President of Russia and therefore have not become a part of the official award system of modern Russia.